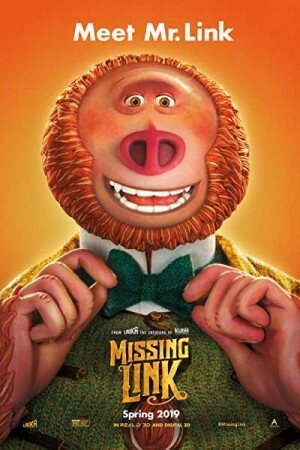 Missing Link, an American stop-motion animated adventure film, follows an innocent, gentle Bigfoot named Mr Link on the search for his relatives along with a fearless explorer who serves as a guide to Link on his journey. Adelina Fortnight, an adventurer, also joins hands and the trio sets out on the hunt while moving across the far reaches of the world, going through a fair share of threats & risks. Through the adventure-packed journey, each of them learns an important lesson of life. Where the hunt leads the trio to and whether Link is able to find his long-lost relatives forms the rest of the story.